<Luxury Lifestyle Awards 2016: Louzan Fashion – for the Lady who is forward looking with a deep connection to her traditions. Most fashion shows close to polite applause at the finale, but an Armani show is different: it’s punctuated by regular bouts of applause throughout. At the spring/summer 2017 menswear show in Milan on Tuesday morning, the clapping was in evidence once again and was loudest for a T-shirt printed with an archive image of the designer’s face. Notably, it could provoke the same reaction – in emoji form, anyway – on Instagram. 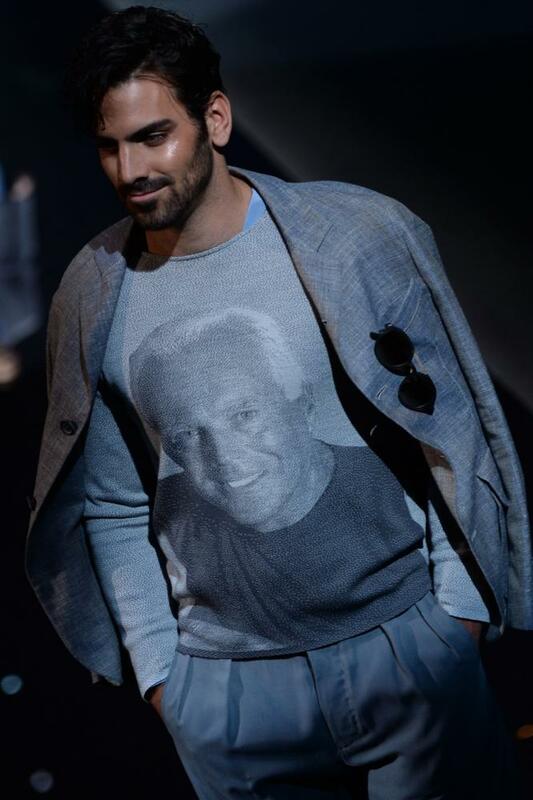 Such moments suggest that Armani, a brand now 41 years young with a designer of 81 at the helm, is starting to engage with a younger consumer. The invitation to the show was a piece of neatly folded card designed to look like a jacket collar, complete with a button. For a brand known more for minimalist elegance and impeccable tailoring than millennial-friendly lols, this visual joke was positively playful. The show notes on the seats at the custom-built venue underlined the message. 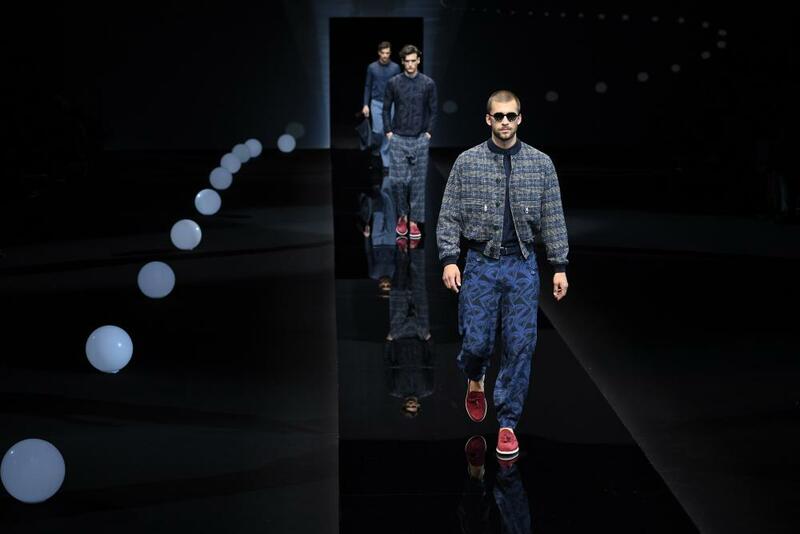 “The spirit of the Giorgio Armani man embraces change while staying true to its ethos,” they read. The collection toed this line. There was a general casual feeling to clothes – soft jackets, cropped trousers and trainers dominated. Items that form the cornerstones of the twentysomething male’s wardrobe – backpacks, bombers, sweatshirts and parkas – also featured, along with bucket hats worn with glasses balanced over the rim. And an outfit of pleated trousers and oversized trench explored the brand’s 80s archive in a way that will appeal to new, younger customers. Existing ones, meanwhile, will be more than happy with the colour palette of blues and greys, lots of linen, zip-up knits and double-breasted jackets. With Armani, there’s an element of “if it ain’t broke don’t fix it”. While it has been affected by a slowdown in Asia, the company posted revenues of €2.6bn (£2bn) in 2015, a rise of 4.5% on the previous year, making it Italian fashion’s second biggest brand after Prada. The label now boasts eight different ranges, nearly 3,000 stores, hotels and an interior-design arm. Armani-ing the domestic space is a focus for 2016: a new 14,040 sq ft Armani Casa store will open in Milan in September. The Milan menswear shows finished on Tuesday. The focus now turns to Paris, where brands including Dries Van Noten, Louis Vuitton and Dior Homme are on the schedule.